History. 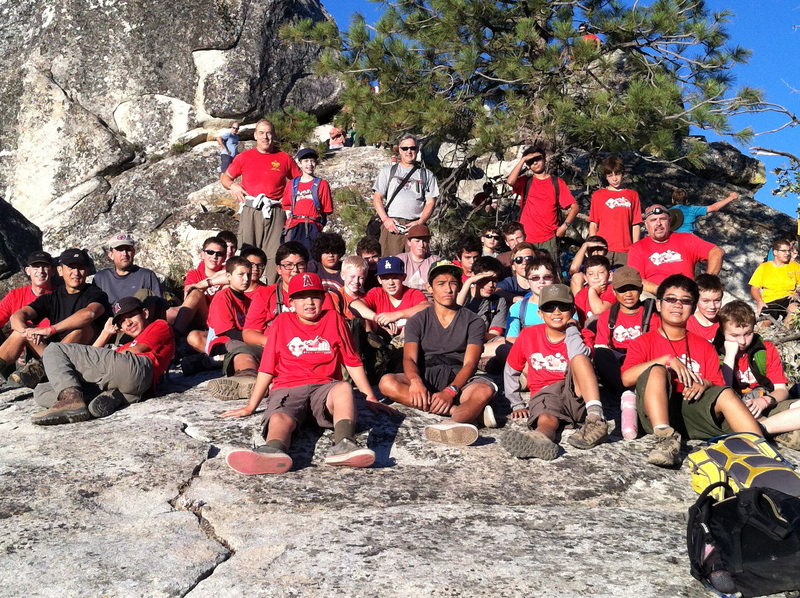 We are an active Boy Scout Troop sponsored by the St. Angela Merici Catholic Church in Brea for over 30 years. During this time span, hundreds of young men have donned our uniform and have gone on to become leaders in our community. We are proud to say that 72 men have earned the rank of Eagle Scout as a member of our troop. Leadership. As in all of Boy Scouting, our Troop is Boy-run and adult supported. We are committed to the personal growth and development of our scouts. We have encouraged and many of our scouts have received advanced training through National Youth Leadership Training (NYLT). Our adult leaders themselves are not only leaders in their respective professional careers, they have been heavily involved in Scouting for a number of years. Many are former Eagle Scouts or have received advanced Scout Training through the Wood Badge Leadership Course. Activities. We enjoy spending time outdoors together. In the last 9 months alone, we have taken hikes to Cedar Glen and to Chantery Flats. We have had overnight camping trips to Firestone Scout Camp, Calico Ghost Town, the Sequoias, and Joshua Tree National Park. We have ice skating and snow sports events. We participate in the Annual Food for Scouting and Memorial Day Flag Ceremonies. Teamwork. Our Scouts understand the importance of supporting one another and they actively participate in each other’s Eagle Projects in and around the City of Brea. Join us. If you are interested, please come to one of our Troop meetings or contact our Scoutmaster, Mike Glasgow or Committee Chairman, Steve Swanson.